These are the early details of the upcoming LG G4 compact smartphone, which is soon going to be released. According to the recent information leaked, the device is named LG G4c and it is going to hit the European market in the month of June, probably during the first two weeks. There were few details of the device leaked earlier and this time, we have a head start on it’s pricing too. The all new LG G4c is going to the priced around $318. LG-H525N is the model number this device carries and it is expected to arrive with specifications like 5inch IPS HD display, Snapdragon 410 based quad-core 1.2GHz processor, 1GB of RAM and 8GB of internal storage, along with the store expansion option. The 8MP shooter is going to be at the rear while the front part will have 5MP camera. The rear one is going to have LED flash, HDR and autofocus like features. I’m not sure if LG has made any space for OIS into this device camera. 3G, NFC, Wi-Fi, Bluetooth, and GPS are going to be in there, and the whole unit is going to be driven by Android 5.0 Lollipop based UX 4.0, which has already debuted with its bigger brother, LG G4. So, these are the only details known so far. 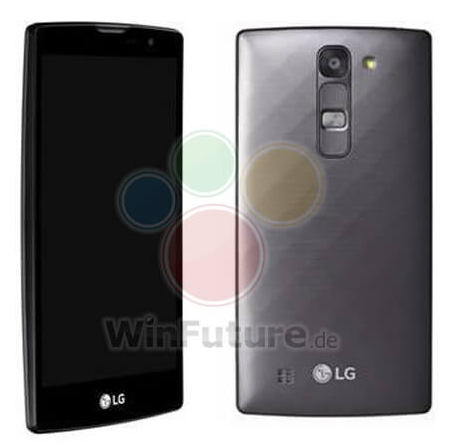 As per the leaked picture, the device possesses the plastic shell of the G4 unit with a similar pattern. A slightly curved display is also there which is mainly there to protect the device from falling down to the surface as the flat face, thus, protecting the display from a lot of mishandling events. To be honest, I really want LG to pack the goodies of LG G4 into a compact device because 5.5inch display size is not for everyone. People like me are still going tough making a home with even a normal getting 5inch screen. But, looking at the current specifications, I think LG is planning to bring it in the midsection, rather than making it the compact flagship. Let’s see how it comes in reality. Stay tuned!